Hi all, today is a tough one to call. I would say let’s risk it but instead let’s play tomorrow when we know it will be good! 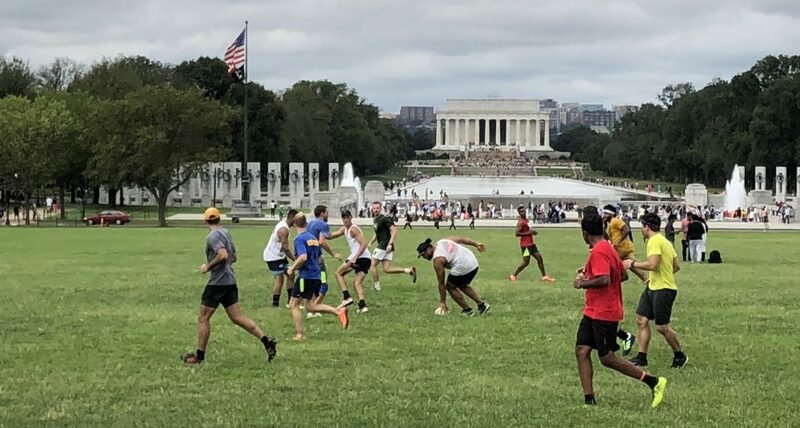 So meeting THURSDAY, 6pm, Tidal Basin field (15th & Independence), because, why not? We can be flexible, right? ah won’t be able to make it. ill also be missing saturday so ill see y’all next week! We still plan to meet up today? Yeah! It’s not going to rain so let’s do it. See you at 6pm.